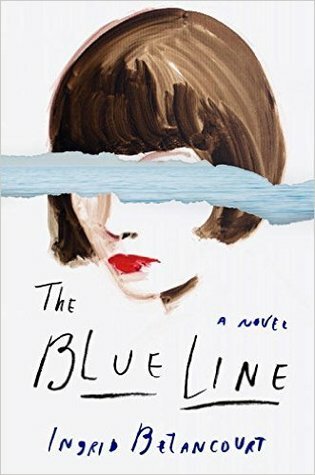 Set against the backdrop of Argentina’s Dirty War and infused with magical realism, The Blue Line is a breathtaking story of love and betrayal by one of the world’s most renowned writers and activists. Ingrid Betancourt, author of the New York Timesbestselling memoir Even Silence Has an End, draws on history and personal experience in this deeply felt portrait of a woman coming of age as her country falls deeper and deeper into chaos. At fifteen, Julia falls in love with Theo, a handsome revolutionary four years her senior. Their lives are turned upside down when Juan Perón, the former president and military dictator, returns to Argentina. Confronted by the realities of military dictatorship, Julia and Theo become Montoneros sympathizers. Julia and Theo are radical idealists, equally fascinated by Jesus Christ and Che Guevara. Captured by death squadrons, they somehow manage to escape. . . . The Blue Line by Ingrid Betancourt was about one particular woman and her courage. However, the entire plotline lost me completely. It told me what was happening instead of showing me. I felt like a kindergartener was telling me every sentence. It was frustrating to read. I wanted to get enjoy the story. But it was impossible. The way it was told was not done well. Usually, there’s something that connects readers to the characters. From the beginning to end, there was no connection between me and the characters. It felt flat. I believe the way it was written caused for more dislike of the book than anything else. Just words filling up space on good paper. Then there was the switching from back in the past to the present that made it more unlikable. The two star rating was given for an attempt to make a decent story. The back blurb of the book was better written then the book itself. The writer received more than one star because her message is a powerful one. Although it just clearly lacked in the way it was written. I was not entertained at all. My interest was peaked enough to attempt reading this book.